Swedish comic creator Gunnar Persson has died on April 8, 2018. He's known for being the son of Elov Persson, who created one of Sweden's oldest comic strip Kronblom. Gunnar took over drawing Kronblom when when his father fell to ill health. Keeping it all in the family, Gunnar's son, Jonas Persson, started co-drawing the strip in 2006. 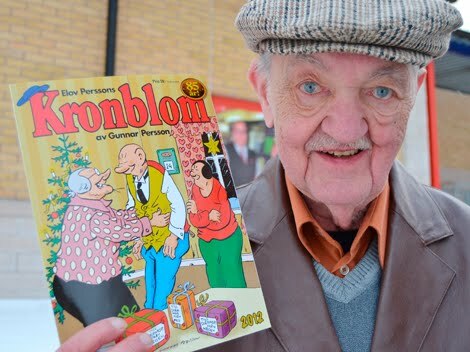 Both Elov and Gunnar won an Adamson Award in the "Best Swedish comic-strip (or comic book) cartoonist" for their work on Kronblom.